Do you have a legal question but you’re not sure if you need a lawyer? 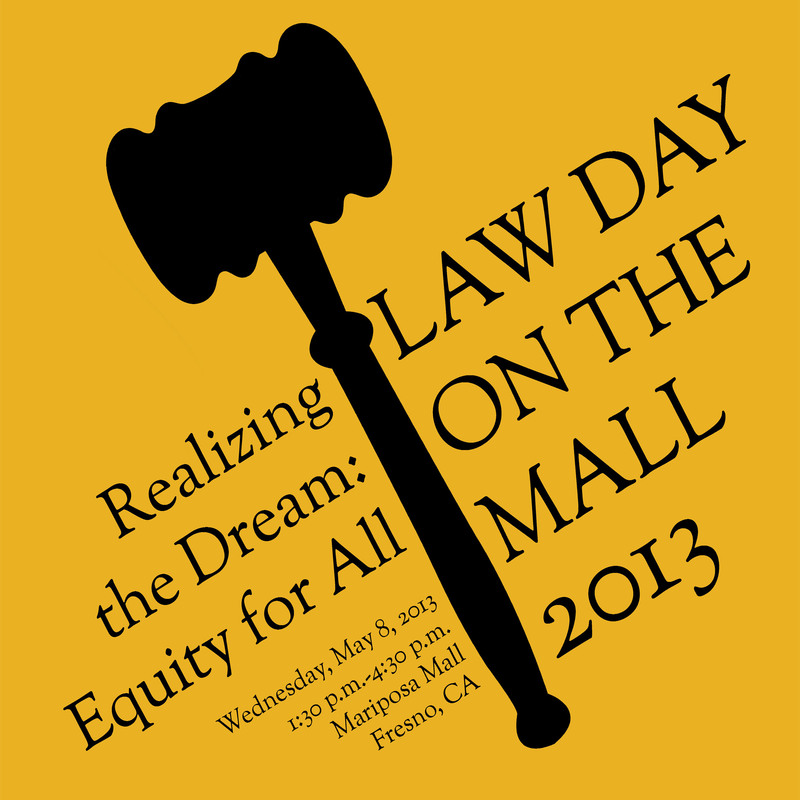 Join the Fresno County Bar Association next Wednesday for the first Law Day on the Mall. This is a day when representatives from nearly 20 legal organizations will set up booths on Fulton Mall to answer your legal questions. This is a great opportunity to learn more about legal assistance (including FREE legal services) that are available in Fresno County. The event is FREE so just stop by! This is the first year it will be held downtown on the Mall so be sure to let others know about it. It’s a great event for people who want to learn more about the law in general or to ask specific legal questions relating to divorce, crime victim assistance, health care, domestic violence, ID theft, children’s issues and mental health, among others. There are a lot of people who can benefit from these legal resources so please help us spread the word!